This portrait was trickier than it seems. The sun was behind and to the left, and obviously, the water was several stops brighter than the boys' faces. I needed to capture the water (it was part of the story) and underexpose it to bring up the blue color. Problem was the only place to put the stand with a flash and umbrella was on top on a rock over the water, which was impossible. But then, my boss, who was driving home and knew I was taking a picture by the river, stopped and came down to se how things were going. He ended up on that rock, in a tricky balance, holding the flash and the umbrella. How cool is having your own photo editor working as your lighting assistant? 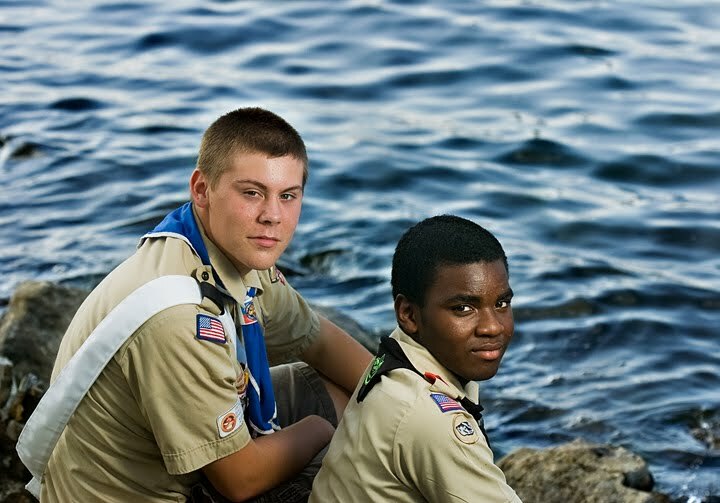 The National Council of Boy Scouts of America awarded Alex Standridge, left, a Medal of Merit after he pulled fellow scout Julian Lucky, right, to safety during a canoe trip on the Buffalo River in Tennessee last year. 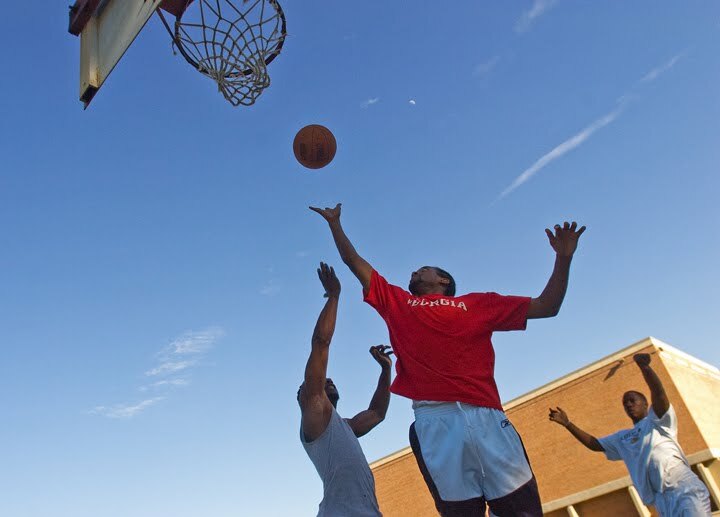 We often receive calls, or they just show up at the newspaper's door, from people who have or caught big things: a 6-foot catfish, a huge cabbage, a monstrous pumpkin... Usually we take a picture in the parking lot, and that's it. 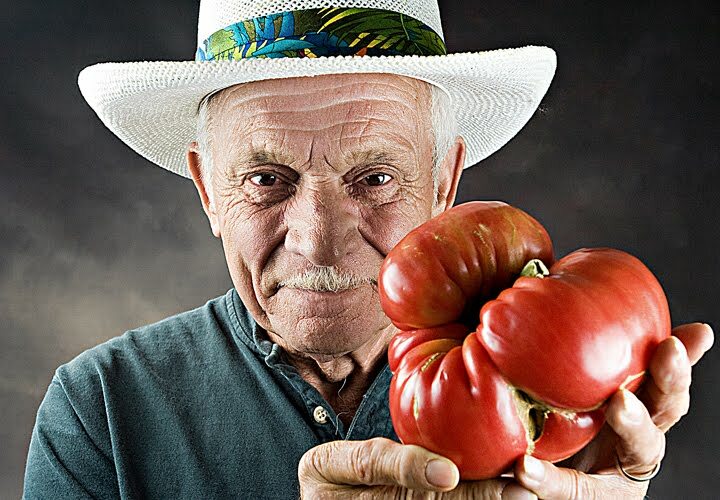 One Sunday, I got a call from this man, Paul Hastings, saying that a tomato grown in his back yard was 18' 14" in circumference and weighed 2.5 pounds. I met him in the parking lot, but when I saw his hat and how photogenic he was, decided I wanted to take a portrait in the studio (I think I used 4 lights). Soon enough I had forgotten about the tomato and was concentrating in his face. 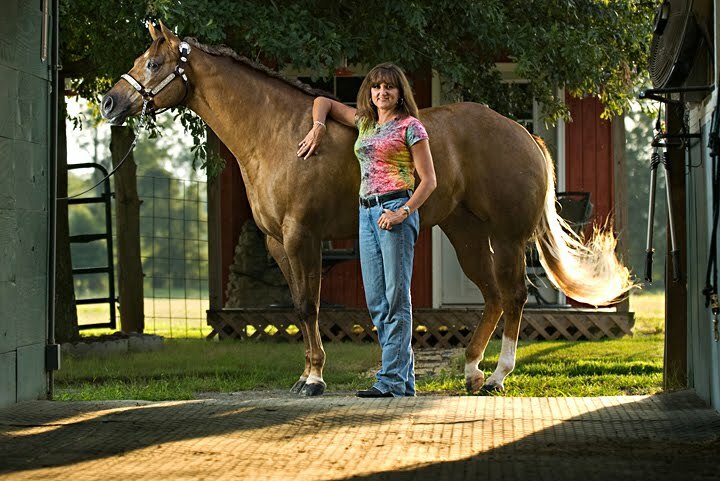 Angie Anders with her 2009 World Champion halter horse, Emmie, at Anders' farm in Hartselle. 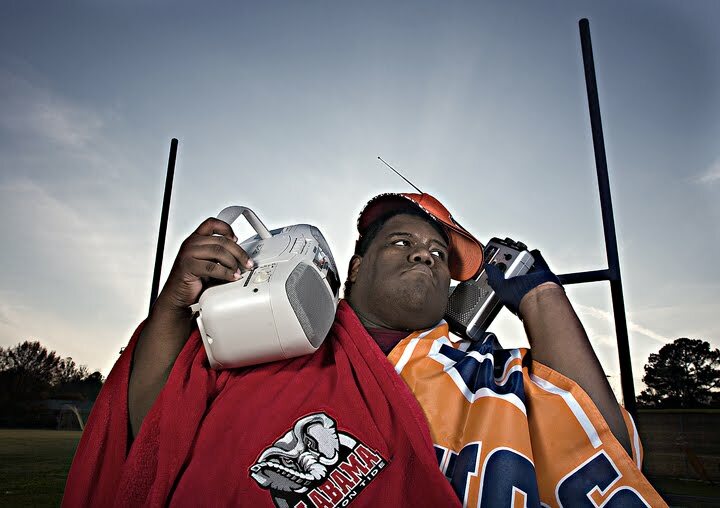 I asked Daniel, an online editor at the Decatur Daily, to model in this photo illustration for a story about the Alabama and Auburn radio stations as part of our Iron Bowl previews. I've got to say he's a great actor. That kind of picture that I've tried to take so many times, but there's always something that makes it wrong. Not that this time I got it, but at least I came pretty close. It was real hard to keep shooting while witnessing this man's pain. 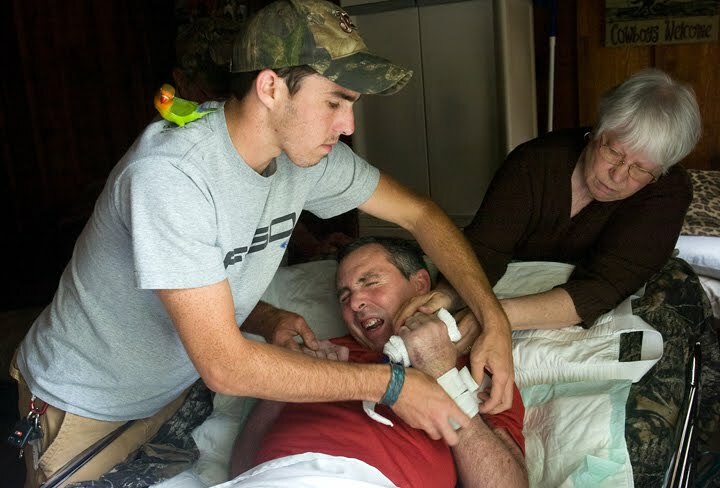 Keith Barber moans in pain as his son, Joey, and his mother, Faye Barber, loosen the bandages on his left arm Monday, July 6, 2009. 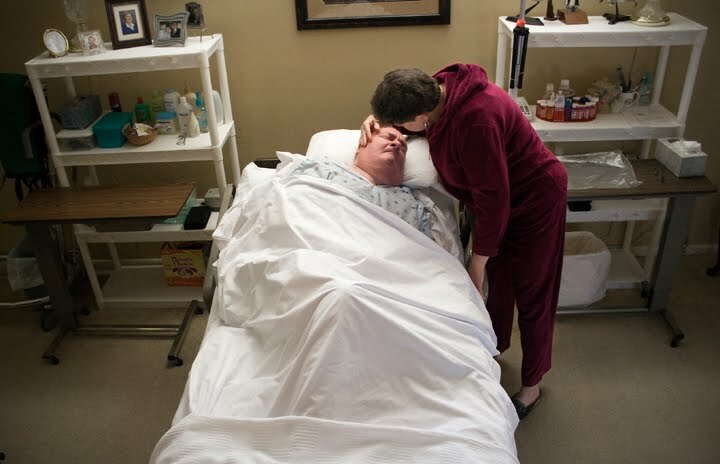 Barber, 49, has been paralyzed and unable to talk since a traffic accident almost two years ago. I saw these guys playing on the street on my way to an assignment. I decided to stop and then hanged out with them until I got something I liked. Needless to say I got late to wherever I was going to. While sorting out archives, burning CDs, throwing away crappy work, and, in general, those things that we usually do earlier in the new year, I came across some pictures that I like for one reason or another, but I never posted here. So here it comes the first batch of those. 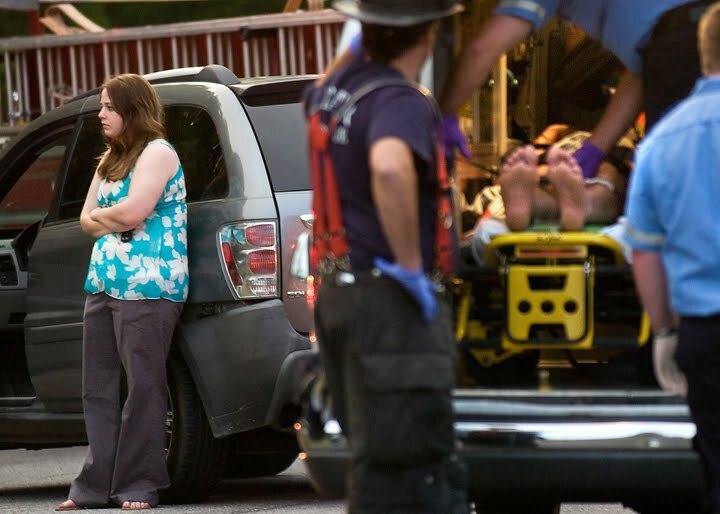 The woman on the left is the wife of the guy in the ambulance. He was the victim of a hit-and-run. Fortunately he recovered. One of the many fires I photographed last year. 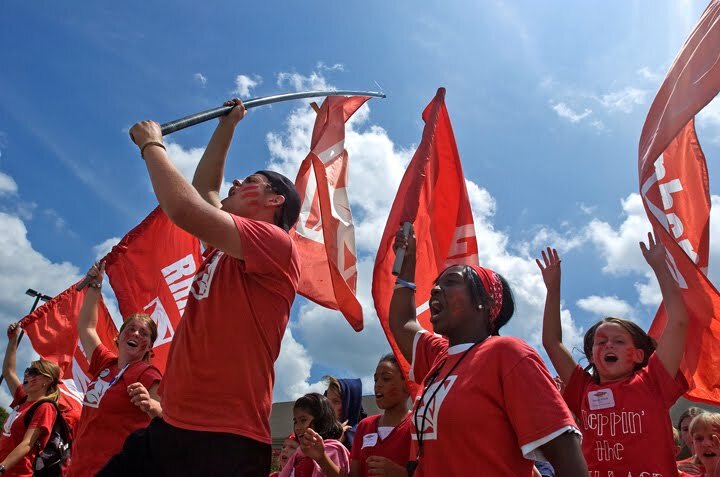 I just like this one picture. 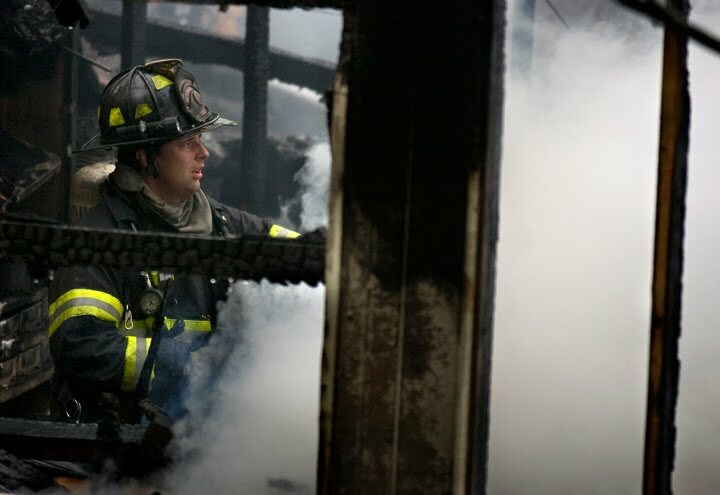 The way the firefighter is framed, I guess. 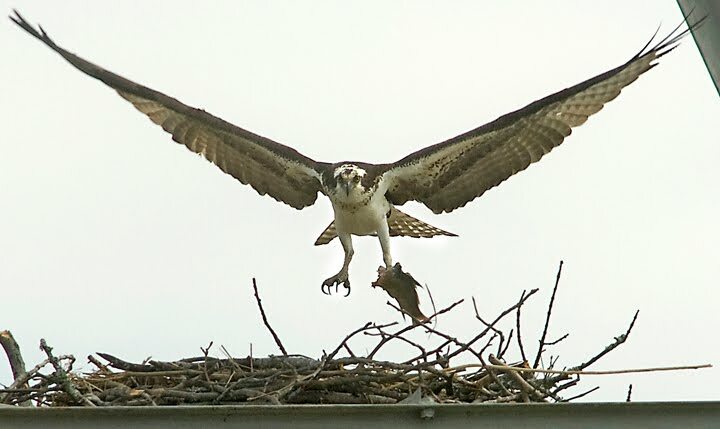 An osprey bringing a dead fish to the nest built on an electric power tower. This lady, Harriette Rost, has been caring for her husband, Tom, since he had a stroke in May 2006. Harriette` invented and then marketed a simple device for pulling him up and turning him in bed.